Jobfeed, the leading Big Data tool for jobs in the Netherlands, Germany and France, is now also available in Belgium! Jobfeed delivers more customers and placements, saves you time and offers you insight into your market. Jobfeed collects jobs from the Internet and structures, classifies and enriches the information, making the labour market searchable and transparent. to support strategic choices with valuable labour market information. 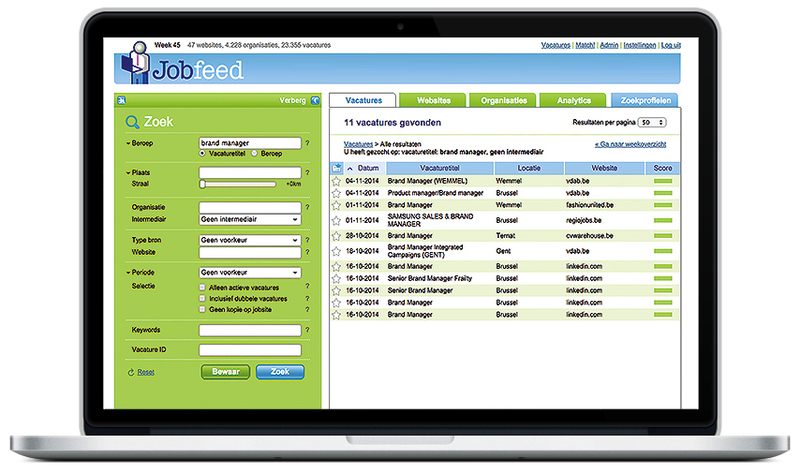 With Jobfeed you can quickly find interesting opportunities and do acquisition more effectively. Result: more customers and placements!